We at Elegance lash & Brow of North Dallas, TX are offering the best in spa /Salon and makeup services. If you want the best lash, Brow, makeup, bridal, waxing, facial, Microblading and Airbrush Tanning salon in North Dallas area and the best makeup studio in DFW, visit our upscale, contemporary and designer built studio. We are serving Highland park, university, Preston hollow, North Dallas, Richardson, Carrolton, Plano, Frisco and DFW! We now have a full-service makeup studio, with high end and modern stations for hair and threading, 7 luxurious private rooms including the Waxing Room, Eyelash Extension rooms, Tanning room, Bridal and makeup room ,facial room and soon Botox & Laser room to serve the DFW area. 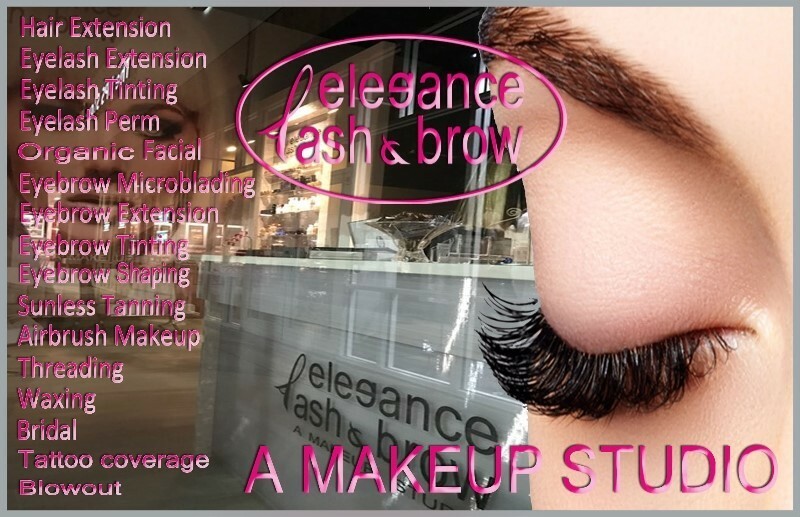 We do all full-service spa/beauty salon services, such hair extension, eyelash extension, eyebrow extension, eyebrow Microblading, threading, airbrush makeup, Tanning, waxing, bridal, facial, eyelash perm, lash and brow tinting and soon men’s and women’s hair services as well as laser hair removal and Botox services! At Elegance lash & Brow we provide high quality professional services! For eyelash extension, we use certified Japanese glue, highest quality 100% Natural Siberian Mink, Japanese silk lashes, Mink eyelash and eyebrow extensions, PhiBrows for microblading, elleebana for lash perm, RefectoCil and Belmacil for brow and lash tint, Shir-Organic By Shira for facials , Aviva lab Organics & Norvell for Airbrush tanning, Temptu, M.A.C, Make up For ever, Mehron, Bare minerals, Bobbi Brown, Nars & etc for makeup applications!